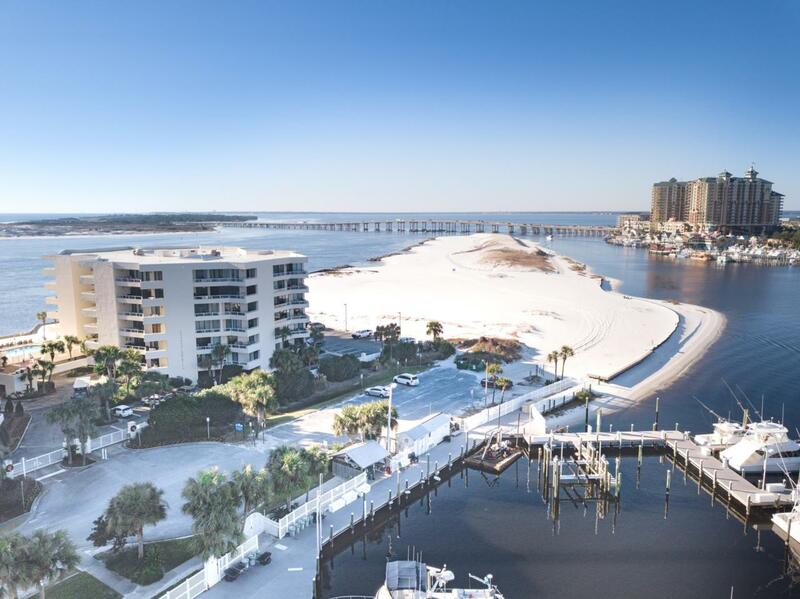 The STUNNING views of the emerald green waters from the Gulf of Mexico to Destin's East Pass are breathtaking! 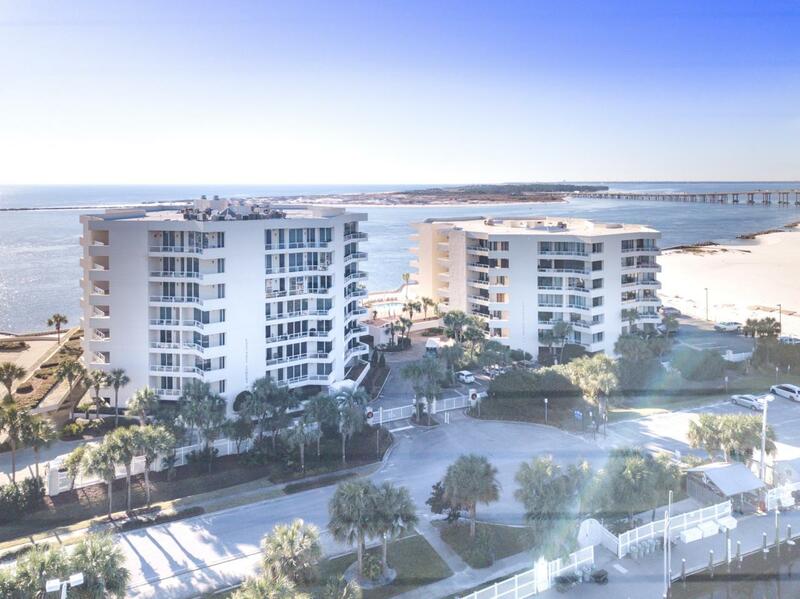 Every room of this exquisitely renovated condo is spacious and has an open floor plan with two living areas, along with floor to ceiling windows in every room to maximize the amazing water views. 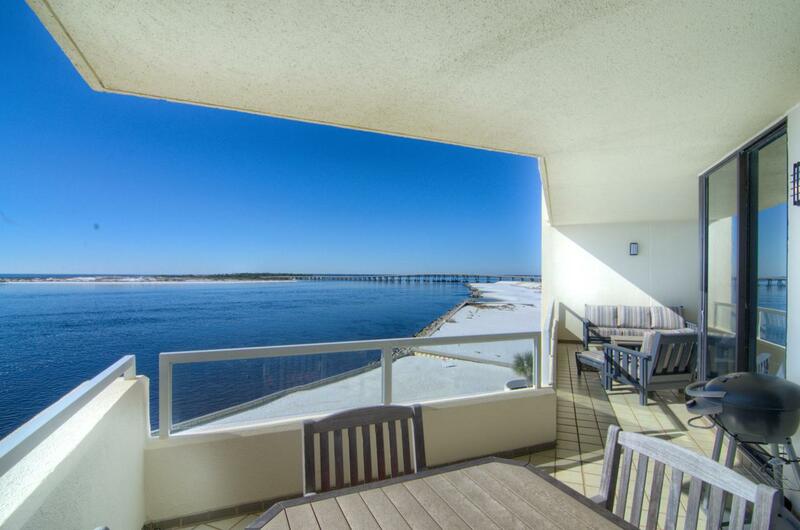 This is one of the few Martinique floorplans, which rarely come on the market. The gorgeous, well equipped kitchen will please any chef. The additional wet bar with wine cooler in the large dining area adds to your ease of entertaining. The storage space is amazing with a large utility room with extra fridge. Tile throughout. 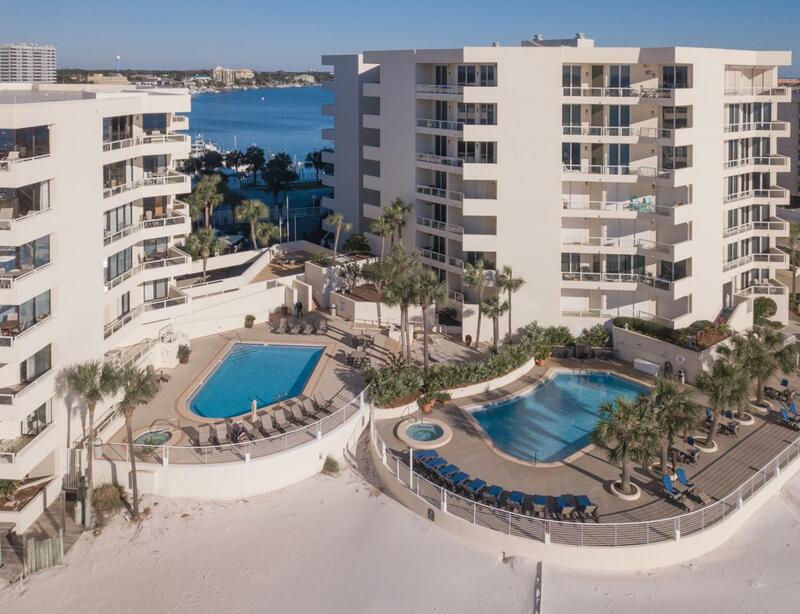 Both balconies can be accessed from every room in this condo to enjoy ''the best seat in the house'' to watch the boats, fireworks and emerald green waters.